When our church put on a garden show / baby quilt show and sale / afternoon tea in the beginning of July, I was excited. I was not able to be there on that particular weekend but I could make a quilt. 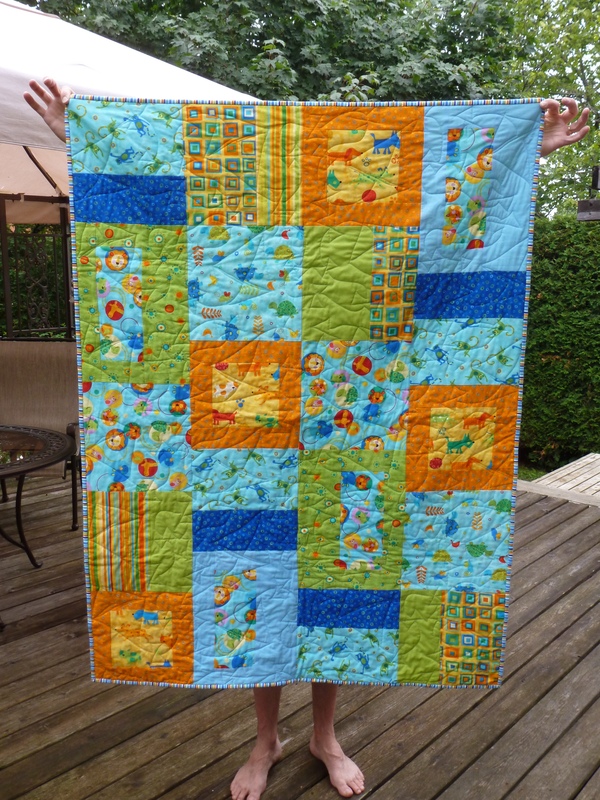 Suzanne very generously provided the fabric and the pattern “Friendship Quilt”. It was a very quick quilt to make. And of course, it meant that I got to practice on the long-arm machine again. 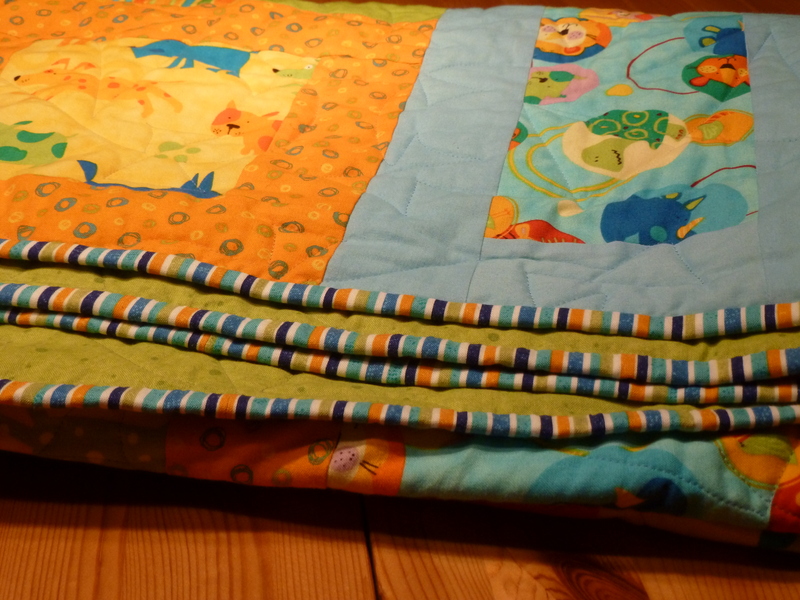 I used a kite pantograph to quilt it all together. These are last minute pictures I took just before I gave it away to our church. 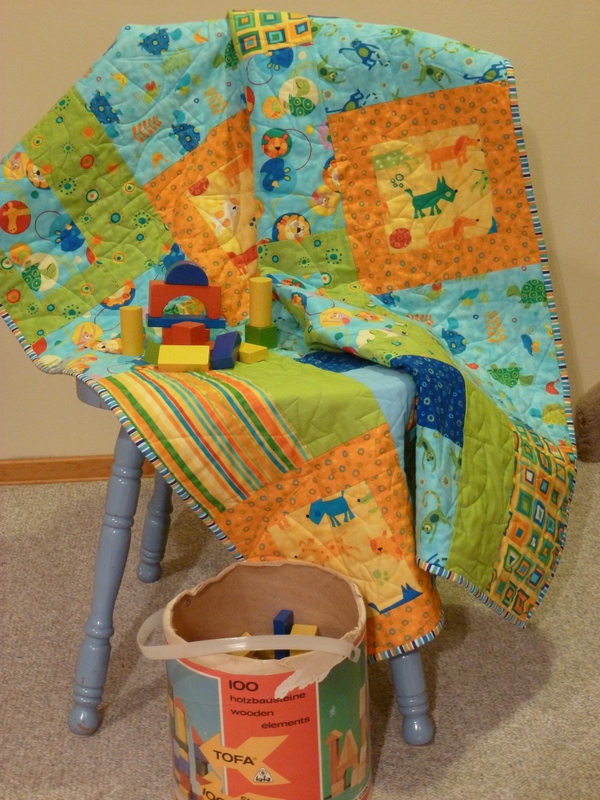 I usually like to have things completed well ahead of time, but when it comes to quilting, can anyone get their quilt made in time to take good photographs? Check out the binding. I was so lucky to find this striped fabric. 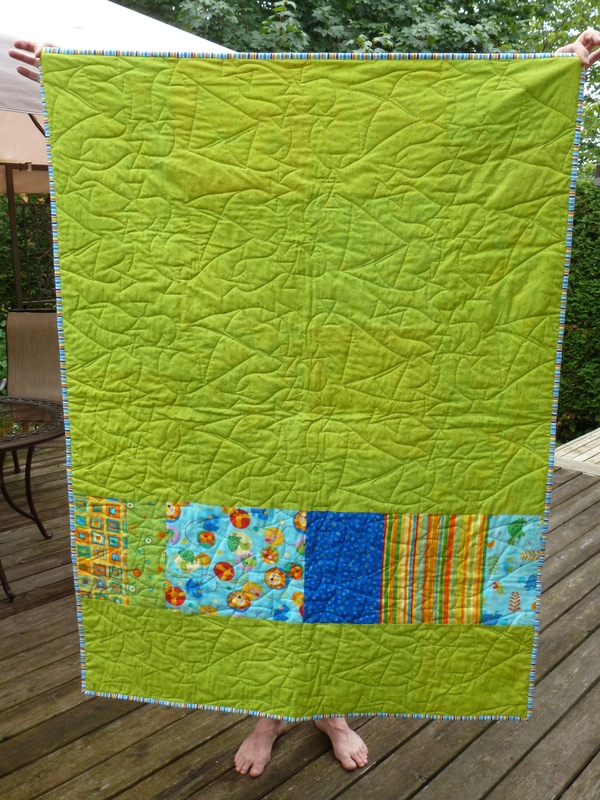 I had much fun creating this quilt. I have offered it to our church to be either sold or given to a mom in need. I hope that some child enjoys it as much as I had fun making it.